Walker River Resources is led by a seasoned management team with strong backgrounds in natural resource exploration throughout North America. 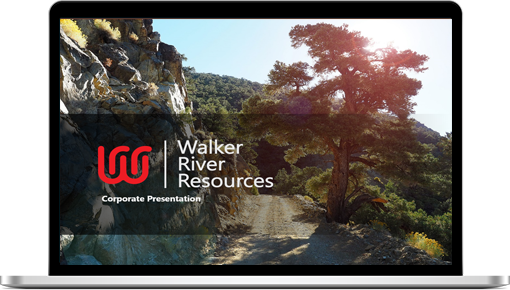 With well over Seventy five years of cumulative experience Walker River’s senior management team is very experienced in operations, exploration and corporate finance within the public market place. Mr. David has over 35 years of experience in geology and geophysics, base metal and precious metal exploration and mining. He obtained a BSc in geology from McGill University in 1975 and has managed numerous projects in southern Africa, Brazil, Colombia, the Philippines, Korea and throughout North America with emphasis in the Province of Quebec. Mr. David has been a director and officer of several mining exploration companies based in Val d’Or, Quebec. Under his guidance a number of these companies made significant gold discoveries exploring and developing both from surface and underground. Mr. Lessard is an independent sales consultant. He was the Sales Manager of Campagna Motors Inc. and T-Rex Vehicles Inc. Renè is a former director of Nemaska Lithium Inc. (TSX:NMX) and Monarques Resources Inc. (TSX:MQR). .
Mr.Gauthier brings over 25 years of mining experience to Walker River. Mr.Gauthier has worked in production and mining for several Canadian mines, in particular Gwillim, Louvicourt, Western Quebec and Malartic southern. Mr. Gauthier is the Vice President of Exploration for the company. For the past 35 years Mr. Angus has been focused on structuring and financing both domestic and international exploration, development and mining ventures. Most recently, Mr. Angus was Managing Director of Mergers & Acquisitions for Endeavor Financial. Prior to joining Endeavor Financial he was a former partner and head of Global Mining Group for the Canadian law firm Fasken Martineau DuMoulin. Mr. Angus is the former Chairman of the Board of BC Sugar Refinery Limited, he was a Director of First Quantum Minerals until June 2005, a Director of Canico Resources Corporation until it’s takeover by CVRD in 2005, a Director of Bema Gold until it’s takeover by Kinross Gold in 2007, a Director of Ventana Gold until its takeover by AUX Canada Acquisitions in 2011 and a director of Plutonic Power until its merger with Magma Energy in 2011. Currently Mr. Angus is Chair of Nevsun Resources Ltd.
Certain statements in this website and in the documents incorporated herein by reference may constitute “forward-looking statements”. Such forward-looking statements involve known and unknown risks, uncertainties and other factors which may cause the actual results, performance or achievements of the Company to be materially different from any future results, performance, or achievements expressed or implied by such forward-looking statements. Such factors include, among others, the following: general economic and business conditions, demand for Iron Ore and other metals; industry capacity; the ability of the Company to implement its business strategy; and changes in, or the failure to comply with, government regulations (especially safety and environmental laws and regulations). For other risk factors, see the Company’s annual and quarterly filings with the Canadian securities regulators on Sedar. Neither the TSX Venture Exchange nor any other regulatory authorities accept responsibility for the adequacy or accuracy of the content in this website. This website is intended to provide a general overview of Walker River Resource’s activities and is made available to the public for reference and consultation exclusively. Walker River Resources has used reasonable efforts to provide current, complete, and error-free information, but makes no representations nor gives any warranty as to the currency, completeness, accuracy or correctness of any of the elements contained herein. Stock quotes displayed within this website are subject to delays, inaccuracies and/or malfunctions and should not be relied upon. Walker River Resources reserves the right to modify any element thereto at any time without prior notice. Walker River Resources shall not be held liable and disclaims any responsibility for any damage, direct or indirect, or of any nature whatsoever, resulting from the use of the information contained herein. The email service is provided for public convenience and in any case shall not be construed as an official or legal statement from Walker River Resources, its officers and representatives. Content within the Web site may be copied or distributed, partially or totally, for non-commercial purposes only, provided that the address of this Web site is clearly indicated on reproduced or distributed copy and that this disclaimer is clearly attached thereto. It shall not be copied or distributed for commercial purpose or for any compensation or profit of any kind, except with the written authorization of an Walker River Resources authorized representative. Walker River Resources shall not be held liable and disclaims any responsibility as to the content of other websites referred by external links found herein. All texts, graphics, logos, images, photographs, drawings on this website are protected by copyright laws. Comply with applicable environmental laws and regulations at all times; at all locations; and at all stages of exploration, development, operations and closure. These policies are continuously reviewed and updated to conform to changing regulations, meet the highest possible standards and to pursue continuous improvement in the company’s performance.